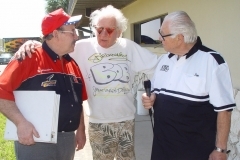 I have had the pleasure of knowing Broadway Bob for over 30 years. 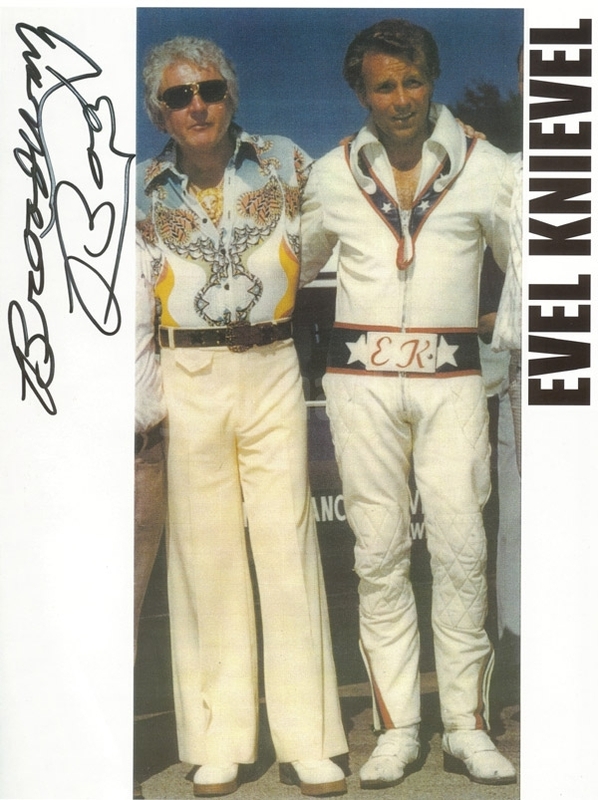 “Broadway” Bob the best-known racing promoter event organizer and track owner in the history of drag racing was inducted into the Drag Racers Hall of Fame on March 14, of 1996. 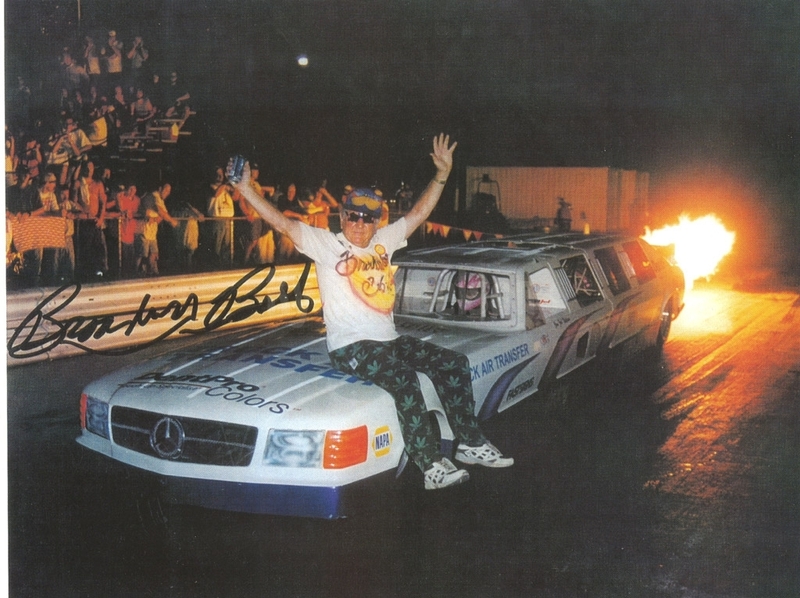 Bob was also inducted into the Jet Car Hall of Fame. Bob has been known to tip a few beers at the racetrack, so he would do things that no sober person would do. 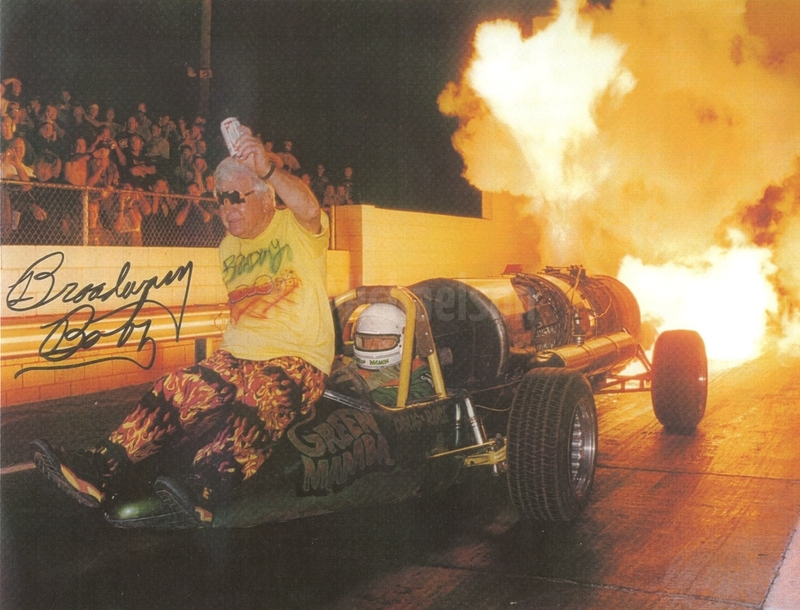 Like sit on the front of Doug Roses Green Mamba Jet Car with a beer in one hand, while 25 foot flames were coming out jet cars tail pipe. The fans just loved it. They would go absolutely crazy. Bob single-handedly transformed the socially unacceptable sport of the 1950’s drag racing into a popular entertainment medium in the conservative Midwest. 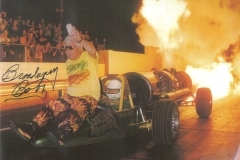 His “Olympics of Drag Racing” has survived since 1957 as the third oldest event in drag racing. Highly popular with his fans, Broadway Bobs showmanship and personal contact with his audience’s indeed legendary among all forms of racing. In 1995 after 40 years Broadway sold the legendary Great Lakes Drag Way and retired when diagnosed with cancer. Bob has fully recovered now. I ran into Bob down at Don Gartlis drag racing museum in Ocala Florida in March of 2006. Bob was with a couple of his friends that he introduced me to. Bob started telling his friends some stories about me. 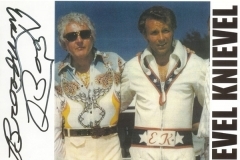 One of them was how Kitty O’Neil drove my rocket car at over 325mph at his track and she was blind. I said, wait a minute Bob, Kitty wasn’t blind, she was deaf. Every body started laughing, including myself. All Bob with a strait face could say was, I have been telling everyone for years she was blind. Then Bob said, know wonder why nobody would ever believe me. I still get a good laugh out of that.